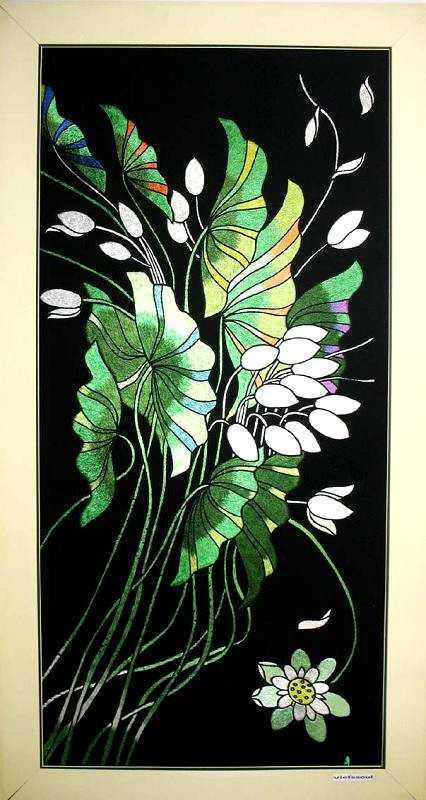 This one of a kind embroidery belongs to a serie, Circle of Life, Vong Doi in Vietnamese, of three exquisite embroidery of lotus in life: beginning, blossom, and ending. 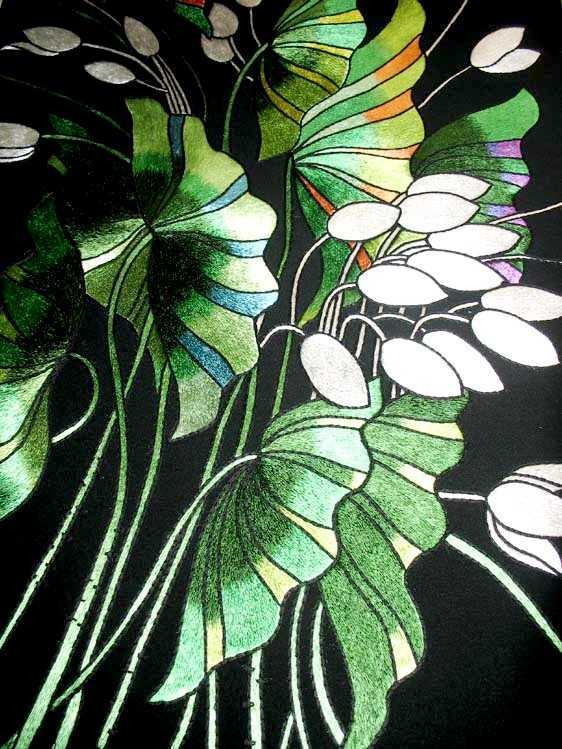 The beginning of the lotus is hand embroidered on black silk with beautiful, fragile, young white lotus buds, elegantly leaning on the stems. 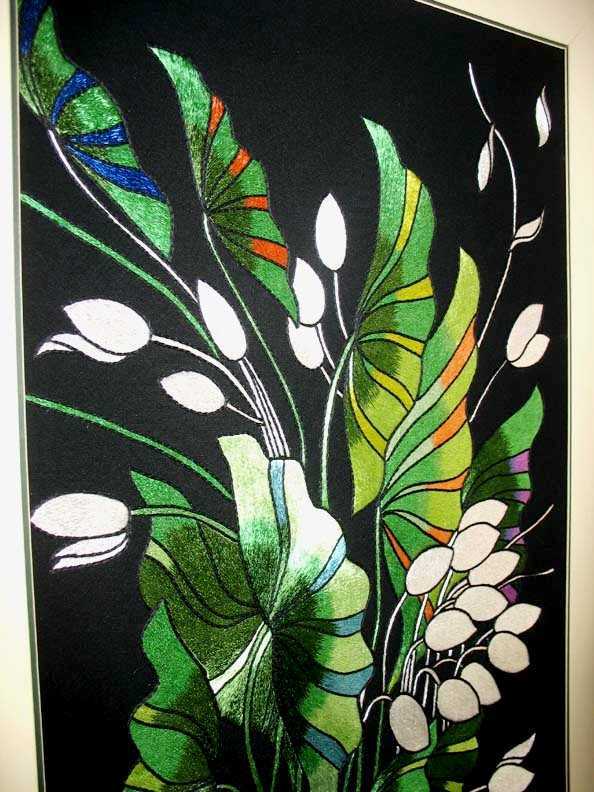 This embroidery is a master piece of fine embroidery art with beautiful colors, higly skilled threads which creates the lively movements of the lotus. Charming and elegant!! !